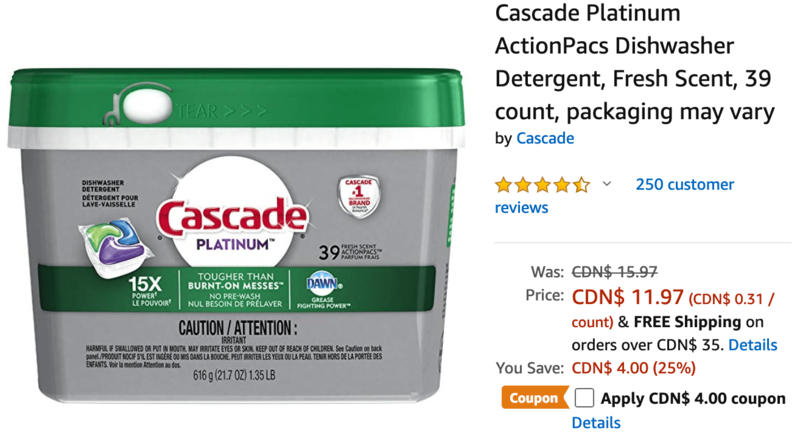 Get Cascade Platinum ActionPacs Dishwasher Detergent, Fresh Scent, 39 count, today for $7.97 (When you apply $4.00 coupon), list price $15.97, save $8.00 – 50% off. 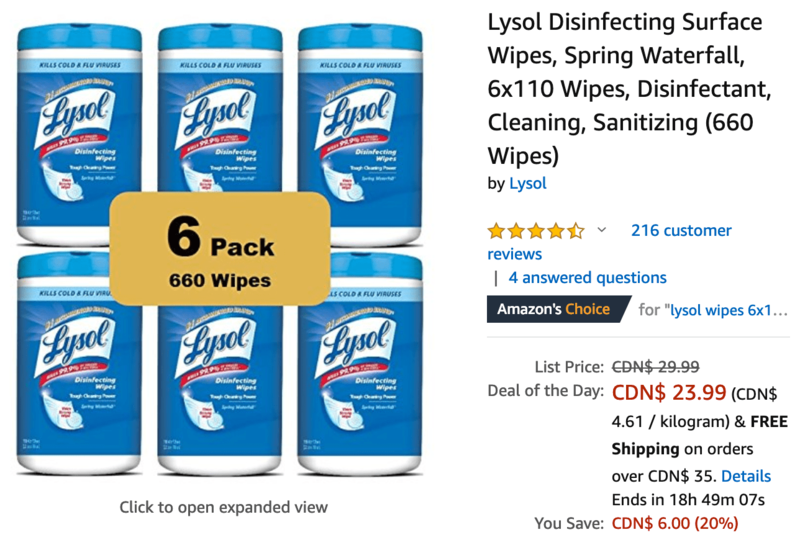 Get Lysol Disinfecting Surface Wipes, Spring Waterfall, 6×110 Wipes, Disinfectant, Cleaning, Sanitizing (660 Wipes), today for $23.99, list price $29.99, save $6.00 – 20% off. I just bought that exact Cascade over the weekend at Costco – 92 pack, for $11.99. Don’t think this is that great a deal.